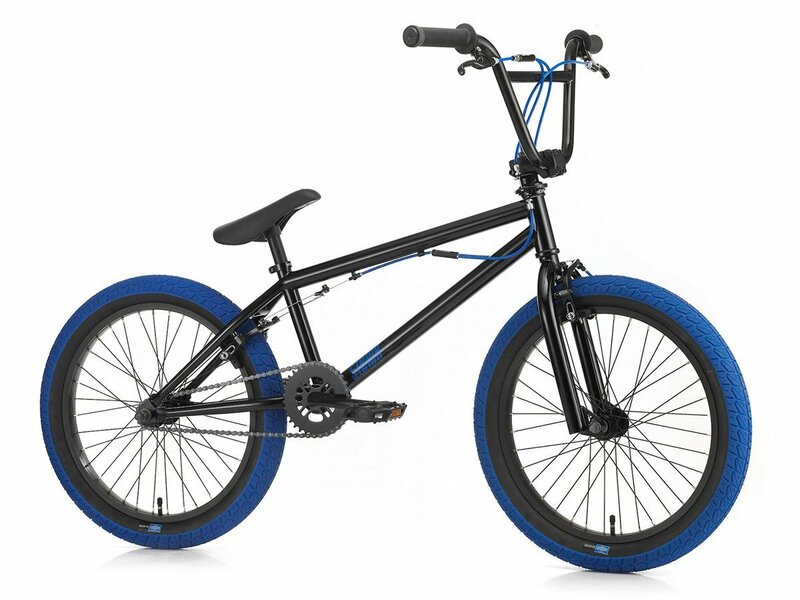 The SIBMX "FS-1" 2018 BMX Bike - Black/Blue is a affordable entry-level class BMX complete bike which is for young beginners that want to lern first BMX tricks or just want to ride bike with a BMX bike. The SIBMX "FS-1" 2018 BMX Bike - Black/Blue is equipped with a 1-piece crankset which can handle little jumps. If your jumps get higher then you can switch because of the US BB standard to a more solid 3-piece crank. As well the SIBMX "FS-1" 2018 BMX Bike - Black/Blue comes with front and rear Odyssey "Springfield" U-Brake equipment, a gyro system which allows to turn the bar as much as u want and 2.4" fat Sunday "Current" BMX tires. Chain Stay (CS): 13.25" - 13.5"